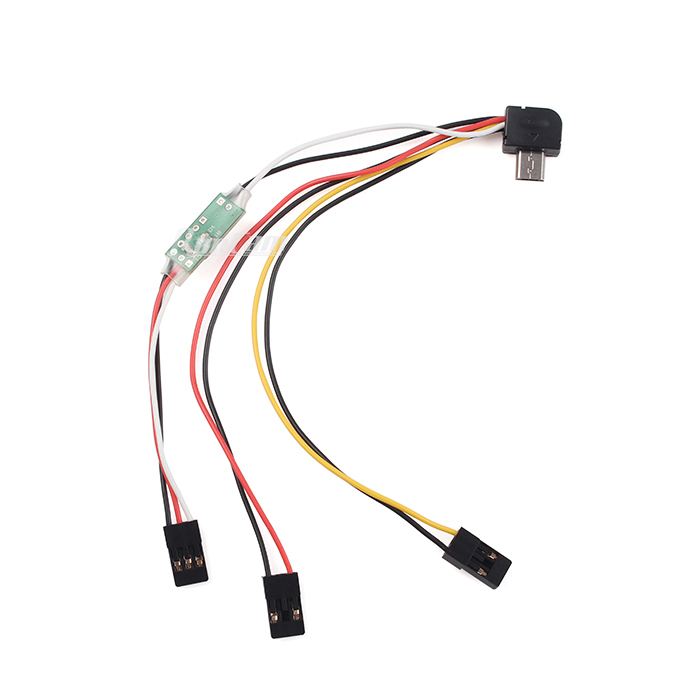 This remote control module cable is necessary for RunCam 2/RunCam 3/RunCam Split (since Firmware 1.5 and Android App V1.6/iOS App V1.2 ) to take photos and start/stop recording remotely. I ordered the remote control cable, had it delivered from the US to Australia in about 1 week. It was easy to attached to my RunCam Split and Echine video transmitter. Works perfected and as described. 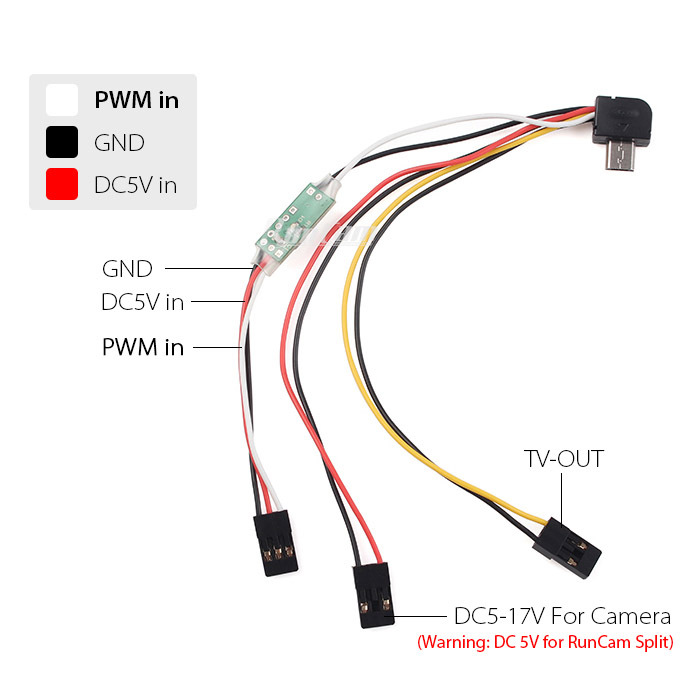 I am using this on a Runcam 3, allows connection to the vtx, plus you can remotely operate the camera to stop/start recording, plus take photos. Only found one problem - If using the Runcam 3 with a Quanam 3 axis gimbal you will not be able to plug the cable into the camera because the usb socket is covered by the camera mount on the gimbal. I got around by making up an ultra low profile 90 degree usb lead. Another option would be to mount the camera upside down in the gimbal and flip the image back up the right way from the osd menu. But doing that will then block access to the sd card slot. Works welll once you figure out how to connect. OEM documentation is nonexistent. Some information available on YouTube and other internet sources. Detailed connection requirements from RunCam are desperately needed. To complicate matters I have systems working with Runcam 2 and Runcam 3, but will not work with Runcam Split. Not sure if I have s hardware problem or connection requirements for a Runcam Split are different. Jusf turn on the remote function in the OSD menu and that's it. No issues at all. Love being able to start/stop recording during flight. Never liked this cable it is flimsy and spartan in design. But it is the replacement cable and I highly recommend this as a must have spare. This cable works beautifully. I have three of these now, and it makes switching the camera from my Quad and two fixed wing planes so much easier. I love being able to turn the video on or off as well as take photos when ever I desire. To bad this cable doesn't come with the camera. I bought this cable together with a RunCam 2 for FPV. Does what it is suppose to do. Power and TV-out connector can easily be combined into one which I did.